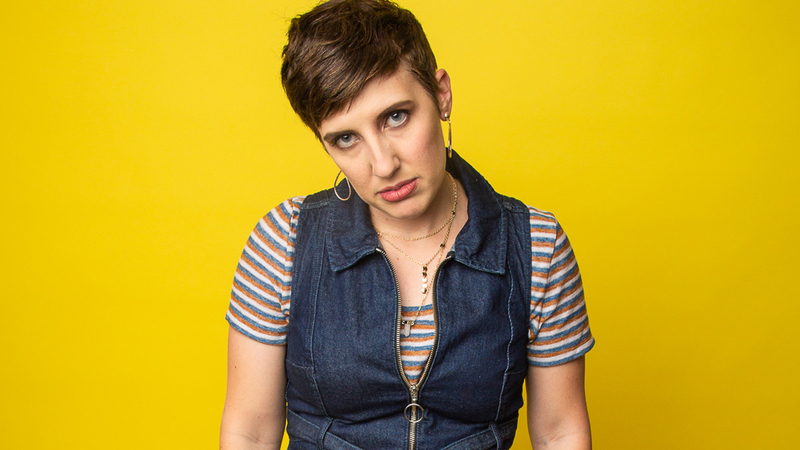 Are you ready for more Studio C Reverse Mad Libs! 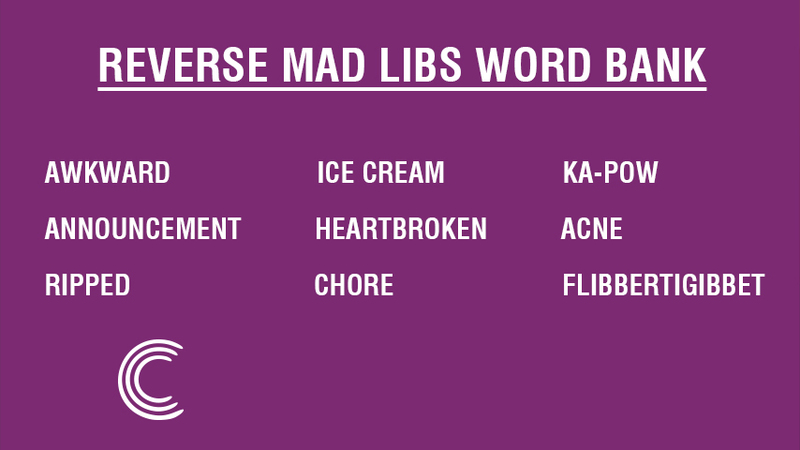 Last week we introduced the game of Reverse Mad Libs! Adam was our first storyteller and today we're back with a new twist on the same nine words! 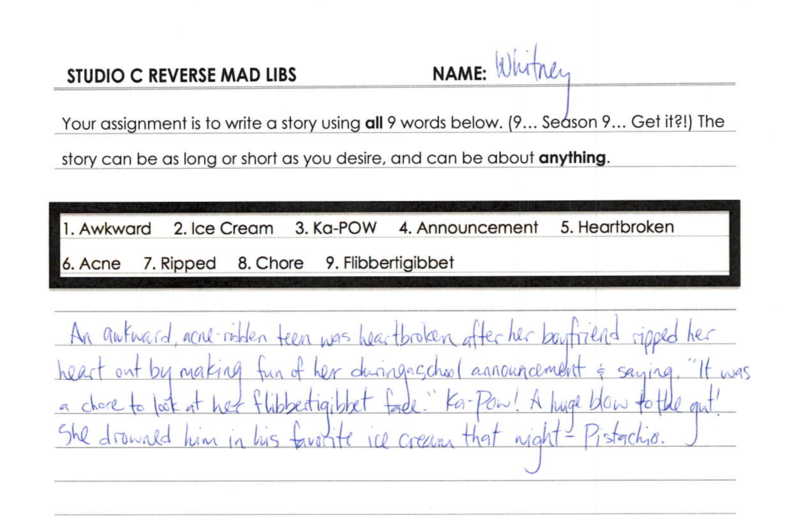 Here is what Whitney was able to come up with. Can you spot all nine words in her story? An awkward, acne-ridden teen was heartbroken after her boyfriend ripped her heart out by making fun of her during a school announcement and saying “It was a chore to look at her flibbertigibbet face”. “Ka-Pow!” A huge blow to the gut! She drowned him in his favorite ice cream that night—pistachio. If you think this story was crazy, wait until you see the rest of them! 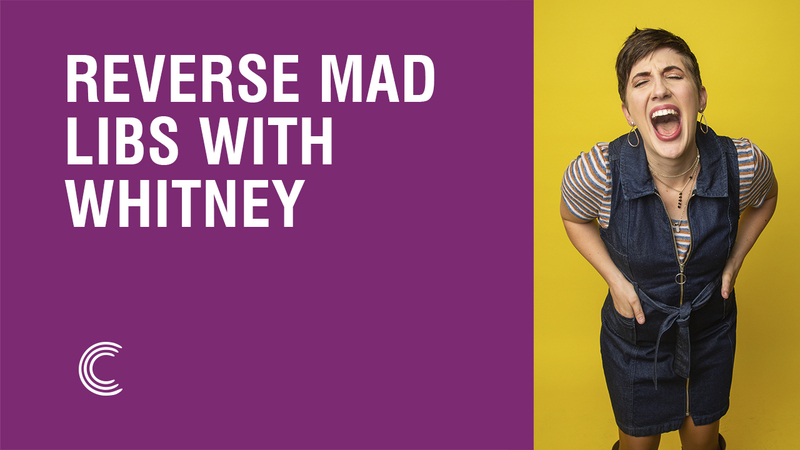 Be sure to check back next week for an all-new Studio C reverse mad libs story from another cast member!